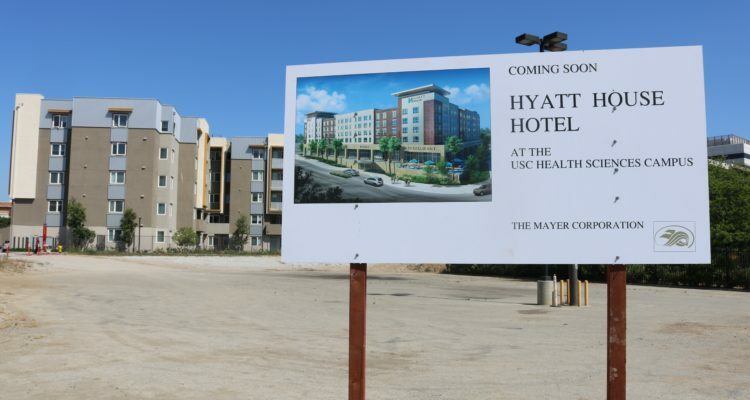 Boyle Heights residents are feeling the effects of the University of Southern California’s efforts to expand its Health Sciences Campus in Boyle Heights, according to a report from the school’s student newspaper, the Daily Trojan. The newspaper reported that the University is pursuing a 25-30 year master plan that would nearly double the building space on its campus, home to the Keck Hospital of USC and numerous research facilities. 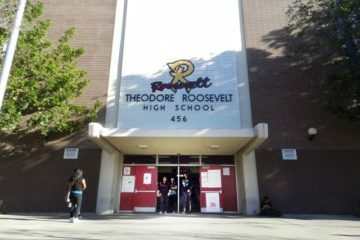 As a result, the Daily Trojan found, residents fear being priced out of the neighborhood as the development drives rents up in the area. 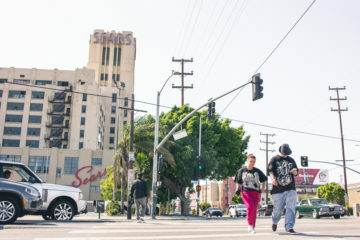 USC has worked on building student housing in an effort to mitigate these impacts, but these plans are not effectively communicated to residents, local activists were quoted as saying. Read the full Daily Trojan report here. Photo: A hotel principally for families of patients is being built as part of the expansion of the USC Health Sciences Campus. By Antonio Mejías-Rentas.